Let’s face it. Golf balls are expensive. If you tend to buy one of the high-end, premium golf ball brands, you have gotten used to spending over $45 per dozen. That’s almost $4.00 for a single golf ball! Even the more moderately priced brands will cost you in the neighborhood of $3.00 per ball. When you’re spending that much money, the last thing you want to see is one of your new golf balls ending up just tantalizingly out of reach in a pond or a thick cluster of bushes. Wouldn’t you love to be able to salvage some of those potentially lost golf balls? You can, with a very small investment in a golf ball retriever. Judging from the statistics, losing golf balls is a really big problem and, sadly, we all contribute to it. Consider this: it is estimated that around 540 million golf balls are sold annually. That’s a lot of golf balls and that is big business for the golf ball manufacturers. But even more surprising than that number, is the number of those golf balls that are lost during a round of golf each year. That same study estimated that around 300 million of them find their way into ponds, streams, lakes, oceans, woods, deep rough, shrubs, bushes and deserts. Losing over half of the golf balls that are sold each year certainly makes the manufacturers happy, as golfers are forced to regularly re-stock their ammo, but golfers everywhere are left frustrated by having to continually re-invest in new golf balls. So, go get yourself a golf ball retriever! To be sure, owning a golf ball retriever won’t totally eliminate the problem. Some balls, unfortunately, are hit so deep into a water hazard or so far out of bounds, that they just have to be “sacrificed.” That’s just a part of the game. But a good portion of them will be able to be re-claimed. Having a dependable ball retriever to reach into that pond or other elusive spot and recover a ball is like putting that $4.00 right back into your pocket. Even though the cost of a ball retriever is relatively modest, it is nonetheless very easy to justify the expense. Once you’ve recovered just 6-8 of your otherwise lost golf balls, or have scooped up 6-8 golf balls left by other golfers that didn’t have a ball retriever, you will have recouped your cost. Now that’s a pretty good ROI! Exactly What is a Golf Ball Retriever? All golf ball retrievers are designed for the recovery of golf balls from areas that are basically inaccessible. Although the specific method of grasping or securing the ball may be different between the various models, they all employ some form of receptacle into which the ball is wedged or otherwise trapped. An extended pole or shaft is fixed to the receptacle, allowing the user to reach golf balls from some distance away. I’m sure most of you have seen these popular accessories in the bags of fellow golfers. They all perform a similar function, but they may be constructed differently and use different materials. Just as in a golf club, the golf ball retriever consists of three components: a grip, a shaft and a “head,” or receptacle. Each component is constructed using different materials, the selection of which being determined by the specific function that the individual component has. For instance, the grip is meant to be comfortably and securely held by the golfer. Consequently, almost all retriever grips are made of rubber. 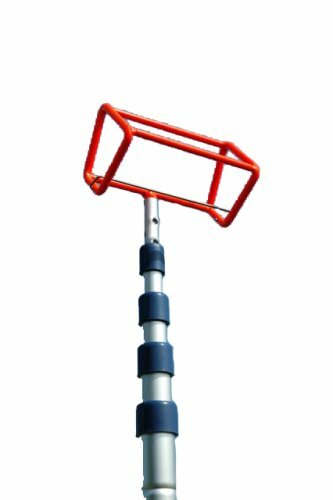 The function of the shaft or pole is to allow the retriever to extend telescopically for maximum reach. To do this, it needs to be both lightweight and durable, and therefore, most retriever shafts are made of aluminum. Finally, the receptacle, as the business end of the retriever, needs to be sturdy and resistant to the “adversities” it will be exposed to, such as water, thick brush, etc. Most ball retriever models utilize stainless steel for this purpose. There is a range of length options to choose from across the various retriever models. They can range anywhere from 6 feet out to 24 feet. There is a trade-off to be made in selecting the optimal length for you. Some golfers may decide that they simply want the longest retriever they can possibly get. For these golfers, you should accept that the longer a shaft is telescopically extended, the less sturdy the pole is at maximum length. On the other hand, for golfers prioritizing small size and maximum compactness, there will be a sacrifice to be made in terms of the overall extension of the retriever. Determining your priorities will help you identify the ball retriever that has the right length for your needs. The head, or receptacle, of the retriever is where you will find the most contrast in style and in the way that it grasps the ball. There are several different common designs that you will see throughout the various models. These different approaches to grabbing the ball include everything from hinged cup holders to spring-loaded rings. In the product reviews below, you will see the various techniques utilized by the different manufacturers. We have assessed each of the ball retrievers currently available to golfers, and we have determined that the following models are the best ones on the market. The Callaway golf ball retriever is unique among other models in that it comes with an attractive, dual-zip canvas head cover. For those that are a little reluctant to prominently display a ball retriever in their bag, the head cover makes it appear to be just another golf club in your bag. Who it is best suited for: The innovative dual zip head cover, makes it look like another club in the bag. If you want a sturdy and durable retriever, but may not want it to stand out in your bag, this may be the retriever for you. Why it is recommended: This is a very sturdy unit, even when fully extended. Its shaft is made of a lightweight aluminum alloy, but it is muscular enough to resist bending, even when at its full length.The Callaway golf ball retriever also comes in two different optional lengths: The 6-foot version collapses to just 24 inches when retracted and the 15-footer is 45 inches when collapsed. The Proactive Sport Player Select Super Lite golf ball retriever weighs just seven ounces and collapses down small enough to be hidden away in the apparel pocket of your golf bag. 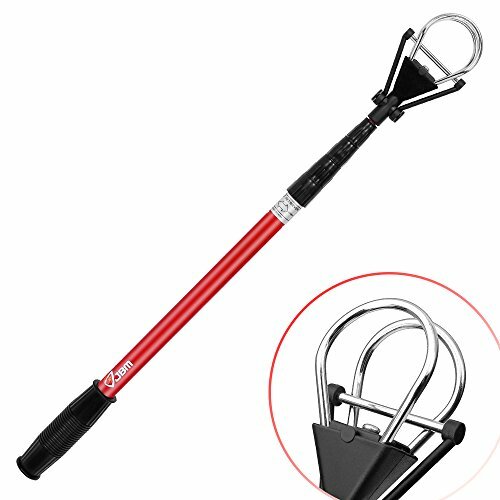 It extends out to nine feet and secures any golf ball from hard to reach places. Super light weight – 7 ozs. Who it is best suited for: If you are a golfer who prefers to have your ball retriever hidden away until needed, this would be an excellent choice for you. Why it is recommended: The Proactive Sport Player Select Super Lite is perhaps the lightest model available. It weighs only 7 ounces and can collapse down enough to hide it away in your golf bag. 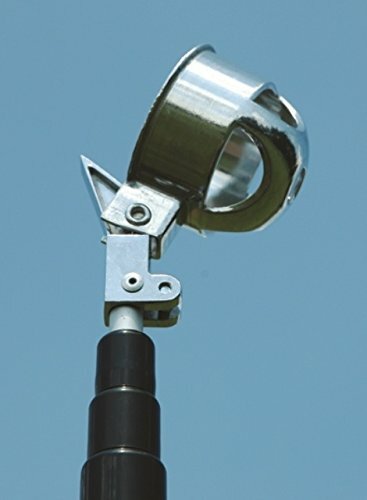 The Hinged Cup Retriever from ProActive Sports is a simple-to-use device that allows you to retrieve your ball from all those hard to reach places. The hinged cup design traps and firmly secures the ball, and it has a lightweight design making this retriever easy to carry and maneuver. Why it is recommended: The Hinged Cup Retriever is lightweight (only 26 ounces) but very sturdy, even when fully extended. It also has one of the longer reaches you can get, extending out to 18 feet. The most noticeable thing about the Orlimar retriever is the highly visible, fluorescent orange head. The next time you are trying to reach a ball in murky water, you will appreciate this feature. 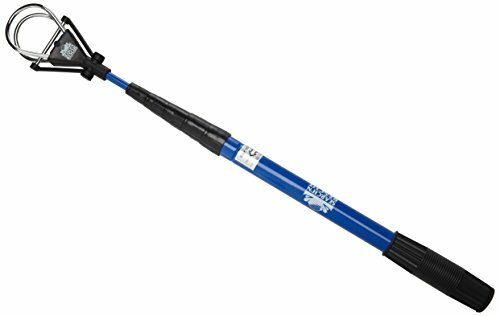 This unit extends out to 15 feet, and is supported by a stable aluminum shaft. Who it is best suited for: This is a basic ball retriever that will appeal to most golfers. The orange head provides a little more visibility, particularly when submerged, than with other retrievers. Why it is recommended: We liked theOrlimar retriever. It has a solid feel to it, giving you confidence that it will not bend or break when extended, and the orange cup receptacle really grasped and firmly held on to the retrieved golf balls. 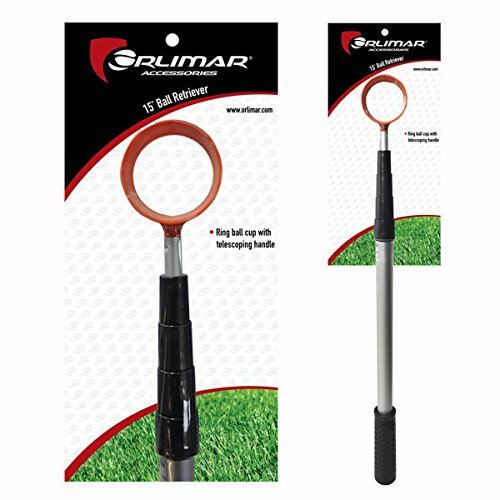 Comfortable handle grip for easy holding.Retrieve the ball wherever it is, for example in a pond, or beyond a boundary fence. The folks at FEENM have come out with some ingenious packaging for their golf ball retriever. It actually comes with two retrievers in a single package… at a very affordable price! 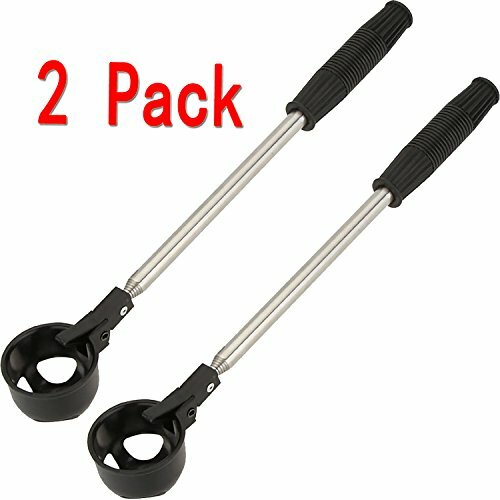 If both you and your spouse or child need a new ball retriever, or if you want a backup retriever, buy two from FEENM for the price of one. Who it is for: For anyone wanting two devices, the FEENMN Retriever offers a two-for-one package at the price that other companies are charging for one unit. Why it is recommended: We loved this 2-for-1 concept, and we loved the price. But in spite of the economical price,FEENM are high-quality retrievers with impressive reach and durability. 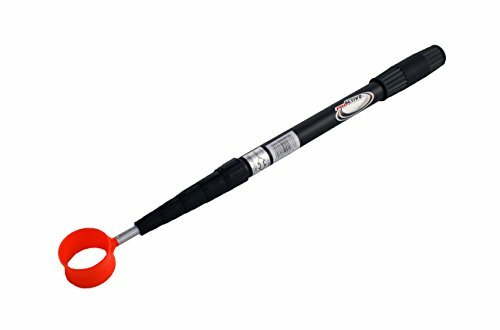 The Search and Rescue golf ball retriever by JTD Enterprises is a very functional model that is also very easy to use. The head has unique “rescue rings” that you simply place over the ball to lift it out. It comes in two different models: one that extends to 6.5 feet, and one that extends out to 15 feet. Why it is recommended: We loved the flexibility and appearance of the Search & Rescue Unit. It has a striking royal blue color that is very attractive. The “rescue rings” are also a great technique for easily locking on to golf balls. Similar in design to the ProActive Hinged Cup model, this Search and Rescue unit uses a hinged metal cup to trap and recover your golf ball. It can extend telescopically out to 12 feet, allowing you to get to most hard-to-reach locations. The metal cup also has a locking mechanism to prevent the ball from falling out once retrieved. Who it is for: Fans of the hinged cup style of ball retriever will get a solid, dependable device at a relatively attractive price. Why it is recommended: The Search and Rescue unit is a no-frills, solidly made unit that should last a long time. The Search and Rescue Magic Gripper Golf Ball Retriever is made with an attractive anodized aluminum orange head that gives you greater visibility. It is also surface treated to prevent oxidation and corrosion. Also, there are three optional lengths, giving you the choice of either a 12 foot, 15 foot or an 18 foot extension. Who it is for: Golfers that want a solid ball retriever that will last for years. Why it is recommended: Search and Rescue make great ball retrievers and the Magic Gripper model is no exception. Many users have raved about the head’s retrieval mechanism as one of the best at grabbing on to the ball. - Stylistic golf cup holder : Quality and style make sure that you don't have to keep losing the ball after every grab. It is one of retrievers as it uses cup holders which is well designed to ensure no slips of balls when they are being retrieved. With an extended clip, it will fit for the putter grips perfectly. This revolutionary product well considers your emotional as well as physical needs. - A staggering 6-foot retriever : Its size helps in fishing back balls from water or dampen ground, so you don't have to stretch your body to reach balls that are far of your reach. Just have an alternative! Have a better control with lock tubes at any length ensuring convenience. This particular retriever has a safety catch that keeps the ball from falling out and it also comes with customizable lengths to ensure that none of the golfers is locked out. - A cork sturdy grip handle : The enhanced grip makes sure that the retriever never leaves the hand. With such a tight grip, you do not need to worry about losing it in the water, or other grounds you stick it to retrieve balls.This grip is crucial since most golfers want something that can be relied upon as one takes stride all around the golf field. - Judiciously constructed of unrivaled quality, rust-free aluminum alloy design : Crafted by the best, the golf ball sniffer retriever is one of the highest quality golf ball retrievers in the market because it cannot break or burn during the regular use. With the golf ball sniffer, you don't have to think about the lost balls, you can just get them back quickly. - Light frame structure : Easy to carry around alongside the cigar holder golf push cart. With aluminum material, the golf ball sniffer is designed to put your muscles to work on other activities and not retrieving the balls. By keeping it easy to carry, the developers wanted the golfers to enjoy the experience that comes with it to ease the workload in the field that would be used for getting some points. The JBM golf ball retriever is a very stylish unit, able to reach golf balls up to 72 inches away. It is a light weight unit, but has a sturdier feel than most. The receptacle head is similar in design to the highly regarded Callaway retriever and the Search and Rescue model by JTD. Metal “rings” easily clasp the ball and maintain a solid hold on it until released. 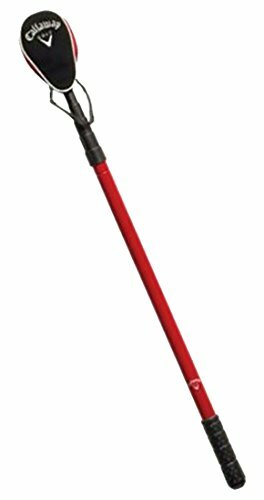 The bright red telescoping shaft employs the use of cam locks that can be tightened once you have extended the pole to the desired length. Who it is for: The extension length of the JBM device is not as long as some of the other models, but it retracts down to a small, easily stored length. For those looking for a compact unit, and who are not looking for the longest retriever available, give the JBM retriever a try. Why it is recommended: The JBM Golf Ball Retriever is an attractive unit with an extremely sturdy pole due to the innovative tightening cam locks. If a 6 foot reach will suffice for you, the JBM Retriever is an excellent option. 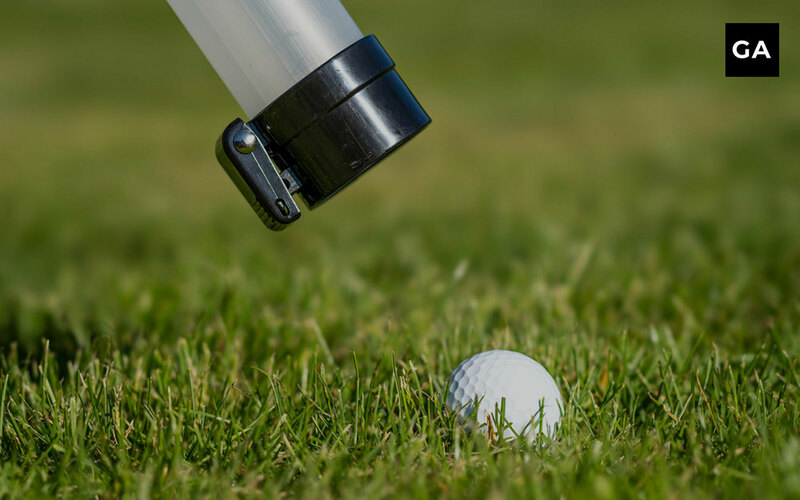 The I Gotcha Golf Ball Retriever is a very lightweight device, able to be collapsed down to a length that can fit easily into a pocket of your golf bag. It can be purchased in either of two models; one that extends to 10 feet, or the “Executive” version that extends out to 14 feet. Featuring a unique spring-loaded double ring receptacle that engages to grasp the ball as soon as you put pressure on it. Very lightweight construction – just 12 oz. Who it is for: For golfers who may not want to display their golf ball retriever among their clubs, the I Gotcha ball retrievers can be retracted small enough to hide it away in a pocket of your golf bag. Why it is recommended: For a device that can be retracted down to such a small length, the I Gotcha has impressive reach when fully extended. 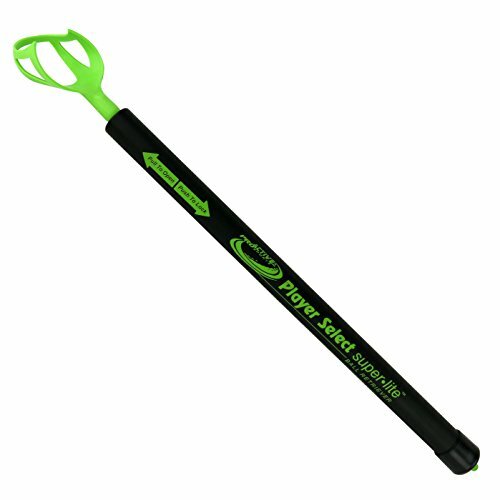 The ProActive Fluorescent Head ball retriever is one of the better sellers on the market. As its name clearly indicates, the bright orange head provides great visibility. It features a dependable cup shaped holder that easily grabs the ball and secures it in place. This lightweight model telescopes out to 6.5 feet. Who is it for: Any golfer looking for a reliable retriever with an excellent ball clasping mechanism will enjoy this model. Why it is recommended: The ProActive Fluorescent Head is a very popular ball retriever that has gotten great reviews for years. This is a retriever for serious ball hawks! This unique design of the Search & Rescue allows you to retrieve 2 balls at once. It has an extremely long 24-foot pole which can be secured in place when fully extended using a safety cam lock. Like several others, it features a bright orange head to provide greater visibility under water. Why it is recommended: We wanted our readers to be aware of this unique style of ball retriever. If you are a “power-ball retriever,” the Search & Rescue is the one for you. We all lose golf balls from time to time. It is definitely frustrating, particularly when considering the costs of golf balls these days. As the old joke goes: “Golf balls are like eggs…they’re both white, they’re both sold by the dozen, and a week later you have to buy more!” It’s that last part that hurts. But you can minimize the financial impact of losing golf balls if you are able to retrieve at least some of your golf balls that land in all the wrong places. Investing in a golf ball retriever is a very inexpensive way to save money by salvaging not only your own wayward golf balls, but those of other golfers as well. Golf ball retrievers can be extended and can get into those tricky to reach places. When it comes to recovering lost golf balls these devices are a great addition to anyones golf bag.